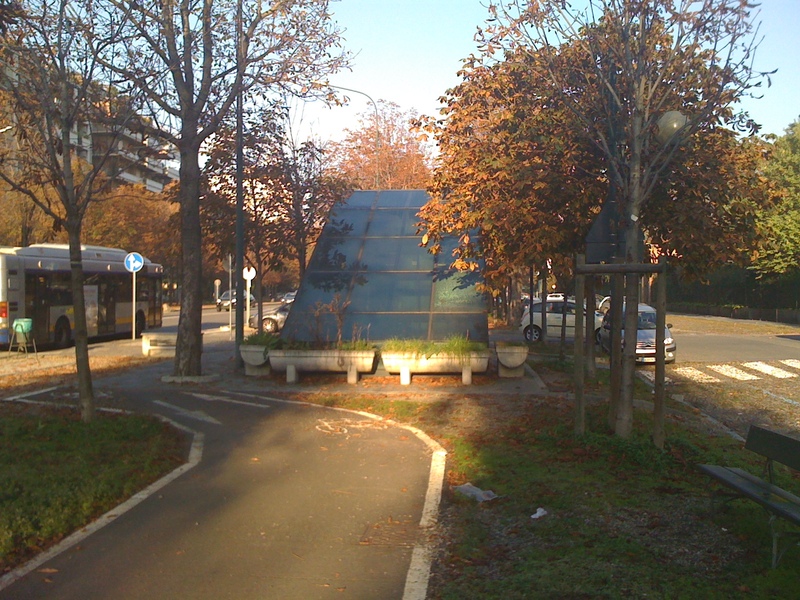 My office in Torino is located at the end of Corso Stati Uniti, aka United States Boulevard, a short but heavily-traveled street between the Polytechnic University and the Porta Nuova train station. 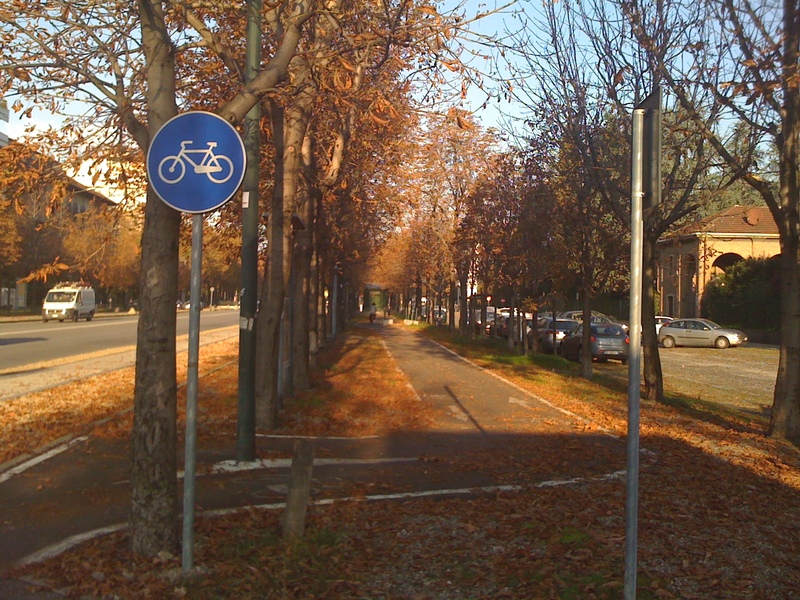 Corso Stati Uniti is a wide boulevard with a fair amount of traffic and would be forgettable except for the lovely chestnut tree-lined bike boulevard on one side of the street. I’ve walk down the bike path four or five times already, but only yesterday did I realize what lies beneath: cars! Every few blocks there is a glass dome like this one, which contains an elevator and a staircase down into the parking dungeon. At the other end of the block, a small ramp noses down underneath the path. The area around Corso Stati Uniti is full of 4-8 story apartment buildings, and presumably this whole subterranean scheme was created to accommodate all their cars in a built-out neighborhood. I found this to be a pretty impressive way to elevate the bike/ped experience on a busy street while submerging the cars. Of course it would be better to have just the bike path and no parking garage, but hey this is United States Boulevard we’re talking about!